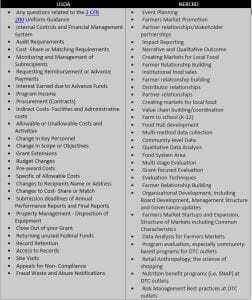 The Agricultural Marketing Service Resource Portal and Support Network supports awardees of the Farmers Market and Local Foods Promotions Programs (FMPP and LFPP) in the implementation of current grant projects. In partnership with the Agricultural Marketing Service, this program is led by the Northeast Regional Center for Rural Development at Penn State University. 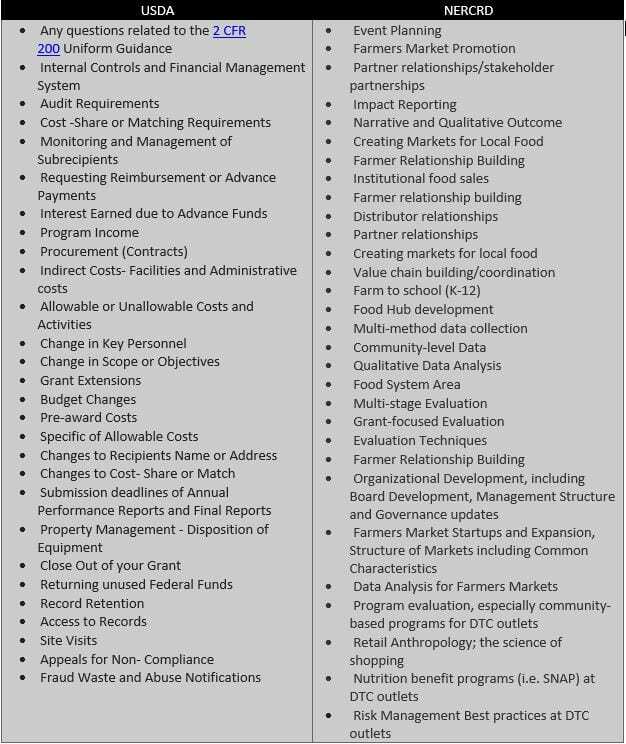 Please note that the technical assistance provided by NERCRD is not replacing the technical assistance (TA) provided your assigned USDA-Grants Management Specialists (GMS). This is meant to be complementary and focus on the challenges you may face while implementing your project. NERCRD will provide TA in areas such as: finding ways to engage your stakeholders, evaluation of your project, how to collect data while carrying your project, etc. Your assigned GMS can assist you with changes in budget, changes in personnel, questions about allowability of activities or costs just to name a few. Our services are dedicated to supporting current LFPP and FMPP recipients from the 2016, 2017 and 2018 award years. Through our resource portal database, peer-to-peer networking site, live webinar series and one-on-one assistance from our mentor team, we provide content and resources to help with project design, implementation and evaluation. We look forward to working with you! Sign up here to get updates on webinars, events, and new resources. Connect with other FMPP and LFPP grantees! 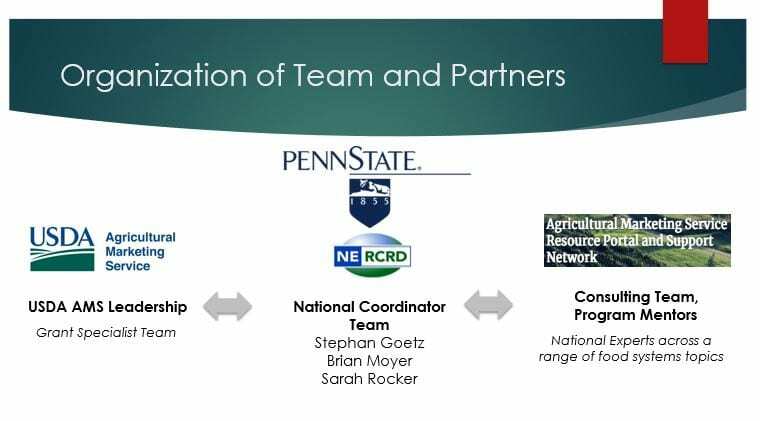 We have partnered with the Wallace Center’s Food Systems Leadership Network to offer a peer-to-peer platform for prospective, current, and former FMPP and LFPP awardees to connect and share. Join here!